This class can catch PHP errors and log messages. It can append to log files messages with values of variables and other types of messages like SQL queries. 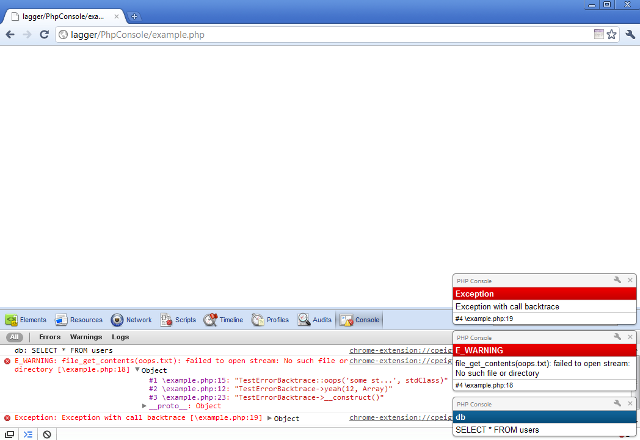 The class can also catch fatal and non-fatal PHP errors and log them. It can also watch a given variable and log messages when it changes. The class can keep track of the time that elapses between each event moment. 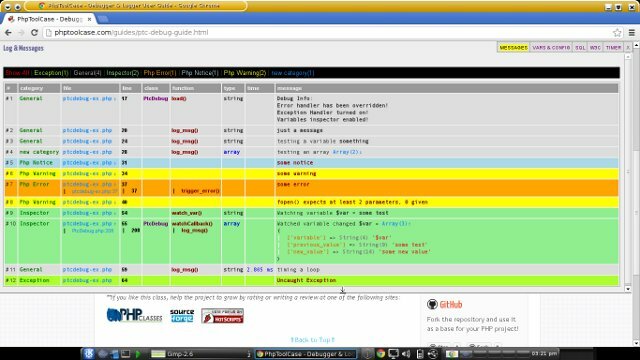 It can also check which lines of code have been executed and trace function calls.